Howdy folks and welcome to Episode 196 of Mancave Movie Review. 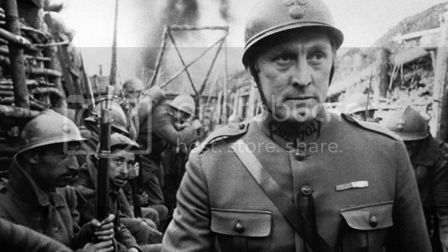 This is Episode 196 and in homage and celebration of Kirk Douglas' 100th birthday, we will be reviewing Paths of Glory. This is a classic WW1 movie by Stanley Kubrick and starring Kirk Douglas. So kick back and relax with a nice Bourdeaux while Mark, Ken and the Reverence try to wake Steve up half way through the podcast. This will be our last show of 2016 so we hope you enjoyed the shows the past year and will be back for more. Until next show, Ciao!